The City of Poulsbo does not keep any personal information about you or your visit to our Internet site unless you have specifically supplied it to us. For instance, if you may have supplied us with information as part of a request for information or for purposes of registering or obtaining a license or permit online. Similarly you may have sent us an email or left us a message in some other electronic format. Any form of electronic communication will be treated in the same way as written forms of communication, and in many instances it will be considered public information available to the public upon request. To the extent allowed by law, the City will make reasonable attempts to protect personal financial information from disclosure. The City of Poulsbo has made reasonable efforts to ensure the accuracy of the information provided in this web site. However, due to the possibility of unauthorized access to this site, data transmission errors, changes to source material made since the last update to the site, or other human or mechanical errors, the information contained on this web site should not be deemed reliable for legal purposes. Please contact the City Clerk at (360) 779-3901 to verify the accuracy of the information. Unless a copyright is indicated, information on the City of Poulsbo web site is in the public domain and may be reproduced, published or otherwise used with the City of Poulsbo permission. 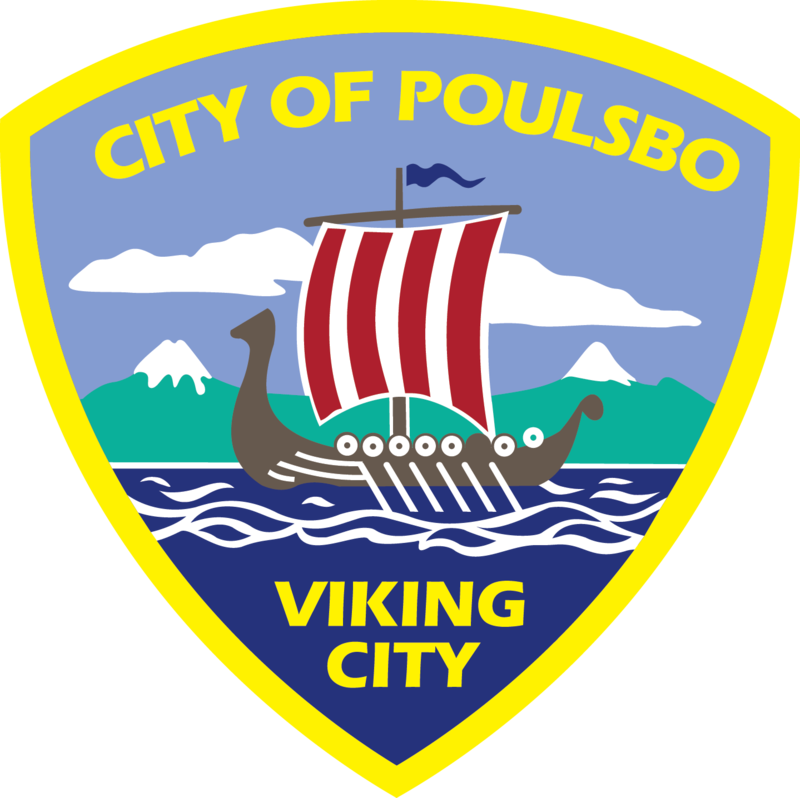 We request only that the City of Poulsbo be cited as the source of the information and that any photo credits, graphics or byline be similarly credited to the photographer, author or the City of Poulsbo, as appropriate. The purpose of the City of Poulsbo’s web site is to provide information about the City’s government, services, and attractions. The City’s web site may provide links to web sites outside the City’s web site that also serve this purpose. The City is not responsible for and does not endorse the information on any linked web site unless the City’s web site states otherwise. The following criteria will be used to decide whether to grant requests for the City’s web site links. If a particular request does not fit any of the following criteria, the City Council will decide whether to approve the request. The City Council will approve the requested web site link if it serves the general purpose of the City’s web site. City of Poulsbo at (360) 779-3901.